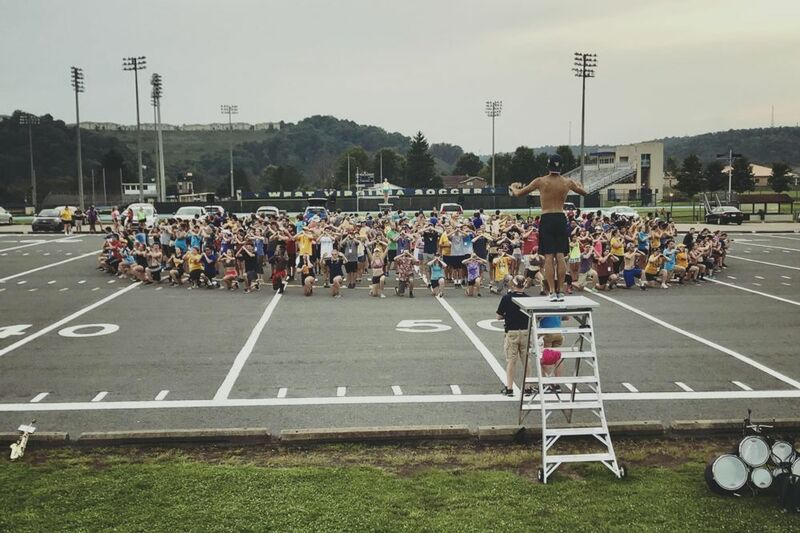 Three hundred forty-one band members, including a handful from Bridgeport, marched to the beat of the Mountaineer drum this week as WVU band camp was conducted in the heart of university city. From 8:30 a.m. to 9:30 p.m. Monday through Friday, band members came together to work on field maneuvers and music for Mountaineer football pregame and halftime shows. “We worked mostly at the coliseum, but also worked on music inside the CAC (Creative Arts Center) during the hottest part of the day, then back outside in the evening,” said Emily Ogden, a 2018 Bridgeport High School graduate who will play clarinet for the Mountaineer Marching Band. 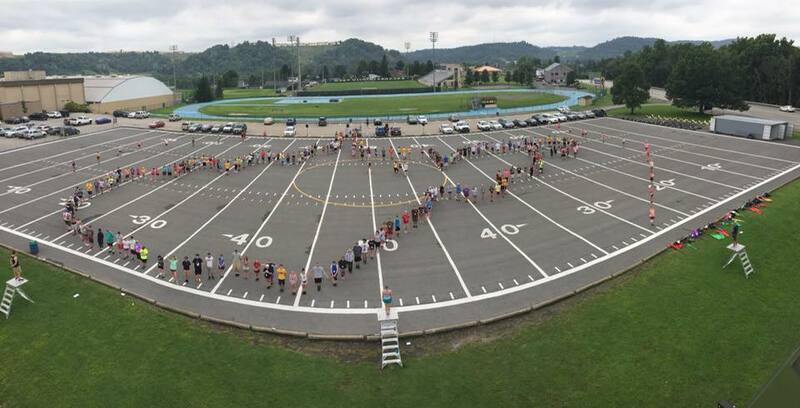 During the first four days of band camp, the group concentrated on pregame – including the iconic running field entrance, playing of “Simple Gifts” and Flying WV formation - and livestreamed the show on Facebook Thursday evening. Friday, the band began working on its first halftime show. It’s been a whirlwind of a week, Ogden said. Monday, the band will take some time to rehearse for Monday Night Lights, an event to welcome incoming freshmen, and thereafter hit the ground running to prep for halftime performances. The band will perform the first show Sept. 1 at the WVU vs. Tennessee game in Charlotte. The band also performs Sept. 8 – the first home game (vs. Youngstown State), Sept. 15 at North Carolina State and Sept. 22 at home (vs. Kansas State). The Pride of West Virginia will also perform at the Sept. 29 Buckwheat Festival in Kingwood, wrapping up September. 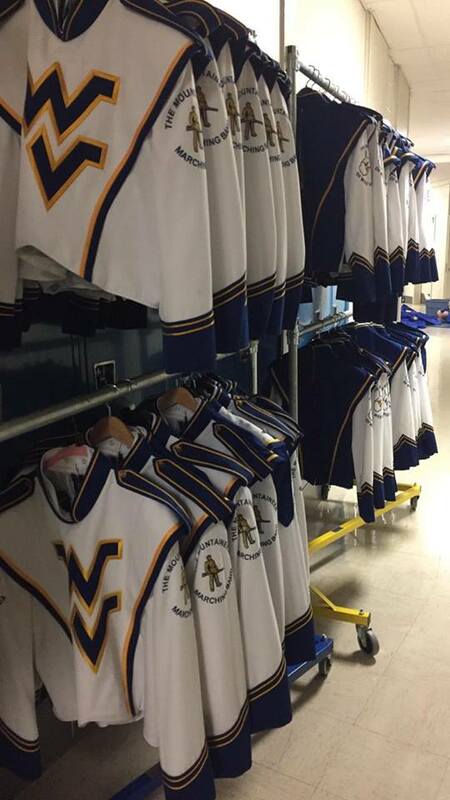 As October rolls out, the band will take part in the WVU Homecoming Parade. See a full band performance schedule HERE. Also part of the WVU Marching Band are 2018 BHS graduates Alisha Pinti and Madewa Adeniyi, both on the drumline; and 2017 BHS graduates Julia Johnson and Mackenzie Steele, both members of the WVU Color Guard. The Color Guard met briefly in June and July to prep for band camp; learning pregame and the first two halftime shows, Steele said. During this week’s band camp, the color guard learned the entire pregame drill and, like the rest of the band, started on the first halftime show. Steele said being part of the WVU Marching Band is a dream come true. All five BHS alumnae are continuing their area of band expertise into college. Read Connect-Bridgeport's May 2 story about Ogden, Pinti and Adeniyi, written just after their successful WVU Marching Band auditions, HERE.